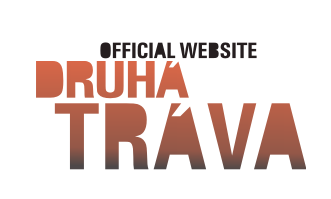 Druhá Tráva looks forward to returning to the U.S. in 2013 for a full scale tour! This November, we will join Peter Rowan when his European tour comes to the Czech Republic. Over the past year Druhá Tráva performed in every corner of the Czech Republic as well as at the prestigious Wintergrass Festival near Seattle. Check out pictures from Wintergrass here (Wintergrass 2012). At a gala ceremony in Prague March 2, we received the Andel Award -- the Czech equivalent of the Grammy -- in the Folk & Country category for our 2011 CD Marzipan from Toledo. Marzipan from Toledo also won the annual survey Poglas Album of 2011. This CD is currently only sold in the Czech Republic, but we will plan to bring some copies with us on our 2013 US Tour. The Czech Republic's Rock and Pop Magazine is creating a “Super Group” consisting of the best musicians and singer(s) of the Czech Republic and Slovakia as voted on by its readers and staff. In May, Luboš Malina was nominated for best musician in the string/percussion category." 2011 marked DT's 20th anniversary! Among events marking the occasion was a special program on Czech TV. Druhá Tráva released two new CDs in 2011 -- including Shuttle to Bethlehem, the first DT CD to mainly feature English language versions of Robert Křesťan's originalsongs! Shuttle was launched on our US tour in October-November 2011. Robert Křesťan toured with Trapeři -- the first band he ever formed -- which reunited onstage to celebrate its 40th anniversary. Robert founded the band in Brno when he was a teenager, and its repertoire includes some of his earliest songs. Luboš Malina kept busy producing Czech country-rock singing legend Pavel Bobek's new album, Kruhy, which was released in May 2012.